Gerard Deulofeu reportedly remains keen on joining AC Milan as it’s suggested that a fresh move in the summer could be launched for the Spaniard. The 24-year-old enjoyed a productive six-month loan spell with the Rossoneri in 2017, scoring four goals and providing three assists in 17 Serie A appearances. Milan still don’t appear to have found a solution to their issue on the left wing since his departure, with Hakan Calhanoglu often played out of his more natural role in midfield while Samu Castillejo continues to be used sparingly. In turn, as noted by Calciomercato, after a return to Milan failed to materialise in January amid intense speculation and a €30m price-tag from Watford, it’s suggested that Deulofeu remains eager to secure a second spell with the Italian giants and has even sent messages to sporting director Leonardo to communicate his desire. With that in mind, it remains to be seen whether or not the club revisit the idea in the summer, as much will perhaps depends on whether or not they successfully secure a Champions League qualification spot this season as they remain in fourth place in Serie A. Meanwhile, Sportmediaset report on the contract renewal situation regarding five first-team players, as it’s suggested that Cristian Zapata, Jose Mauri and Ignazio Abate could all be in line to earn new deals. However, in contrast, neither Riccardo Montolivo nor Andrea Bertolacci are expected to reach an agreement, with the pair failing to make an impression under coach Gennaro Gattuso and are seemingly surplus to requirements. 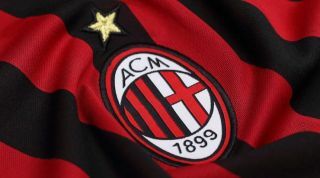 While it may well be important for Milan to continue to strengthen the squad, it seems as though they will have to make sensible decisions on who leaves too in order to create space and financial flexibility while avoiding a situation in which they offload too much depth.